Murudeshwar is a coastal town of Arabian Sea and is famous for the world’s second tallest Shiva statue and the Murdeshwara temple. 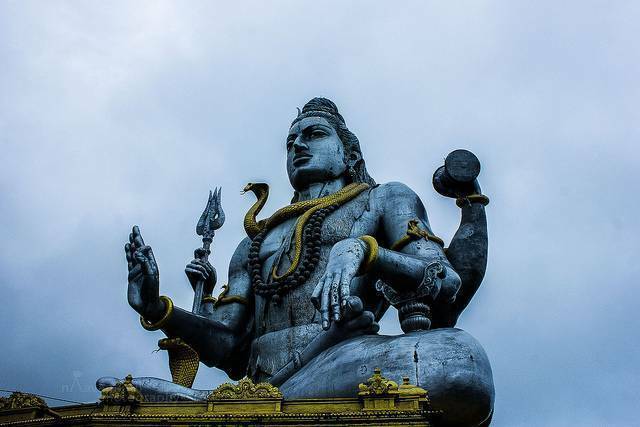 The Shiva statue is built with the vast sea as the background and the Murdeshwara temple in front. The Murudeshwara temple simply awes everyone whosoever is near the temple. The grand building and the intricate carvings grips everyone to the spot. It is located on Kanduka hill and surrounded by Arabian Sea from three sides and has an architectural marvel of 20 storied Gopura to admire.